As another year is drawing to a close there are a good dose of trend reports available. A few years back I would have downloaded a bunch of them, scanning for common lines of thinking. It pretty much always left me feeling like I didn’t have a good enough handle on the next big thing. But who really does? I’m not in the business of attempting to predict the future and I’m far from being a luddite. Technology can bring changes to the three most important areas yet to undergo some serious disruption – education, energy and healthcare. This summary is concerned with a theme over the past 12 month and how that can reflect into the future. It’s not a pop, gripe or naysaying view of what others are publishing – more a call to action for our own behaviour in 2019. If there’s one overriding soundtrack of the past few years since my last Anti-trends in December 2015 whether in politics or business it’s the unexpected and how this has driven a set of behaviours. Over the autumn I’ve been writing a book on Service Design, which has been massively enjoyable and challenging at the same time. One thing about originating and not responding is the amount of thinking required and I mean tons of thinking. It did get me thinking about thinking and how little some of us do it – we are always in respond mode to a request. Slowing down and standing back really does allow things to be clearer. It is counter intuitive for a consultant to not respond, but to stop and think. What this comes down to is a master theme of Time. Many of the trends out there facilitate the game-playing, being seen to be on the front foot, looking busy, feeling like we have the secret sauce. If you take time to deeply dissect all of your activities throughout the day and the brands you interact with (some for many years) you come to realise how little they know or care. There is no opportunity to participate, be part of a tribe or anything more meaningful. They act in a continuous prospect mode, to the extent there is no customer experience. 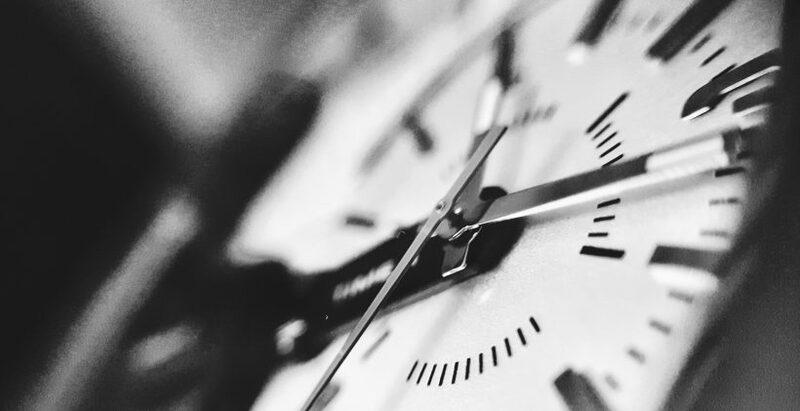 The following trends about Time are set out to reflect, how poorer we are as a society when we’re stuck in short-term mode and how we can be a little more human. There is no doubt that technologies such as Artificial Intelligence can bring about better changes as they seek to automate manual processes. Strategies are being developed that start with AI, without asking what is the problem to solve. We seem to think that if we a good dose of AI, bots, drones, VR and goodness knows what else it will be the answer to all our problems. We need to obsess about how technology can create better relationships first. For years the supermarket I’ve shopped at continues to send me emails featuring turkeys at Christmas, despite not eating one for the 20 years. Maybe this basic level of data is not shiny or award-winning, but right now we don’t have the basics any where near right. Don’t simply add another layer as a sticking plaster because it’s fast (ish). Take the time to get the foundations right. Provocation: how are the existing technologies being used to their fullest extent to create better services? Do they have APIs to enable them to successful join-up the picture so the customer doesn’t have to repeat themselves? Doing things well takes time. It’s not the activity, but the thinking requires – there’s just no way to speed that up. Instead of tackling the real opportunities that can bring about better communities, improved health or long term benefit, many marketers are defaulting to only progressing with the simple and easiest actions – the dreaded quick wins. They occupy all the talent and energy, not making any noticeable change or differentiation, but satisfy some kind of need to look busy and be making fractional improvements to the short term numbers. There’s a whole suite of language about agile, nimble, lean being used to justify this desire to not create services of value. Provocation: what percentage of time is dedicated to progressing long term strategies? How is value creation being measuring and assessed? Customer experience has been bumping around as something brand marketing do for some time, usually seen as a nice to have creating moments of ‘surprise and delight’, whatever they are. With increasing pressure on revenues CX has rushed in to being the shining hero to stem the tide. The flag is in the name – Customer. Yet business seems preoccupied with prospects – selling them more. Even when confronted with the evidence of what needs to be done, customers are seen as an annoyance, a cost or unexciting. The types of activities in customer experience design are being wedged in to the prospect space for plain old marketing acquisition. The negative moments of the customer journey are swept under the carpet as the business keeps telling itself it’s got a CX programme. Provocation: what programmes are being supported to look at everything beyond the basket? Is providing services to the customer seem as an investment or cost? With the unsaid pressure of relentless sales occupying pretty much every brain cycle, it leaves little time for what really matters – each other. Stress causes us to be brief with each other, whether brevity in our written communication or not taking the time to listen. With the daily deluge of email and notifications notes quickly fall off the table resulting in followups and chases, further filling the inbox. Indirectly this says to the author I don’t deem this to be worthy of my time, so I will not respond. At best this can be seem as disorganised and at worst plain rude. The best strategies come about through collaboration, networks and connections – just people. The 4D process has gone into overdrive to protect us (Do it, Delete it, Delegate it, Defer it). It’s worth us remembering a quick note is better than no note and make time to help each other even if there is no immediate reward. Uncertainty will no doubt continue to increase, the antidote is the power of together. Make time to simply speak to each other, it’s a worthwhile investment. Provocation: do you manage the stream of calls, notifications and emails replying to requests? How to do value relationships and make time to talk to a wide network? I would like to think in another three years the above trends have gone away and we focus on what matters. We have a choice where to spend our time.